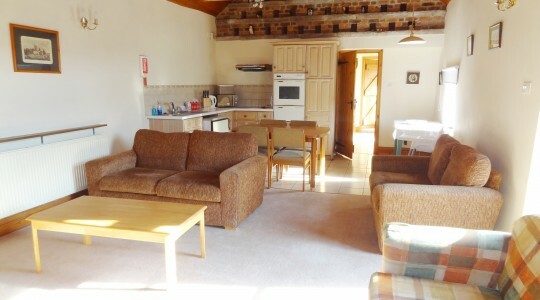 Doveholes Cottage is a sympathetic conversion from old farm buildings and a dove house. 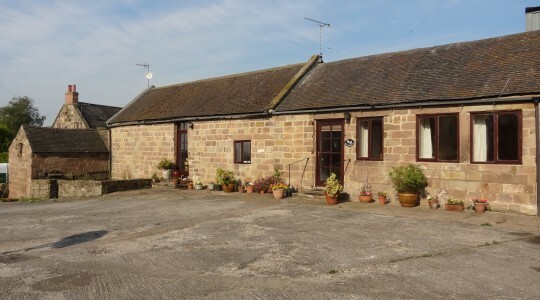 Built in 1847 from local sandstone quarried on the farm it retains features from its previous use including the pretty dove holes inside and the stone pig troughs outside. 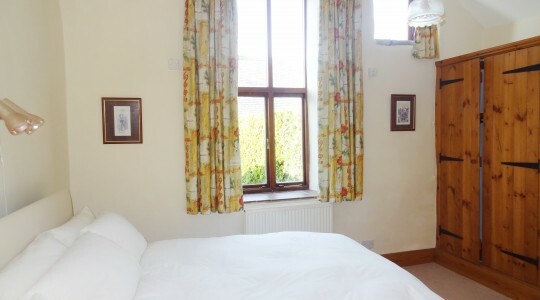 The cottage is south facing and situated amidst beautiful open countryside, officially designated a Special Landscape Area, between the villages of Kirk Ireton and Idgridgehay. 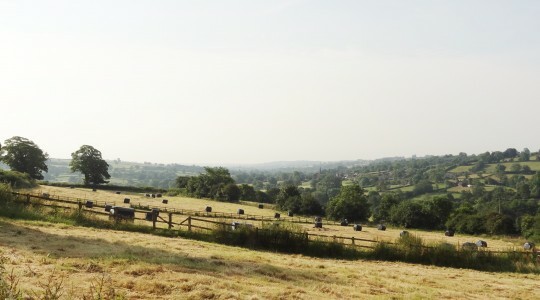 There are extensive views from outside the cottage down the Ecclesbourne Valley towards Derby which is 12 miles and beyond. 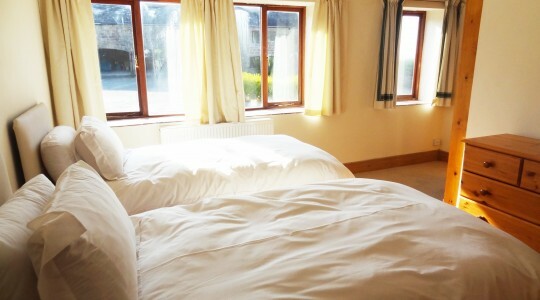 The accommodation provides sleeping for 4 people within two bedrooms with a sofa bed available for up to 6 guests in total. 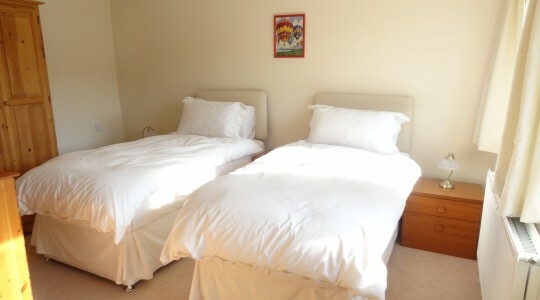 There is a cot and high chair available for our smaller visitors. To the front of the cottage the former fold yard provides an area for outdoor eating or lounging and enjoying the views, with ample off road car parking for all visitors. There is a brick built charcoal BBQ. 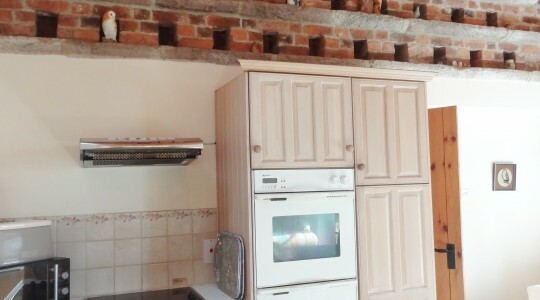 The main door opens into an entrance hall, with one door leading into a utility room which houses the boiler, washing machine and tumble drier, whilst the other door leads into the open plan kitchen, dining and lounge area. 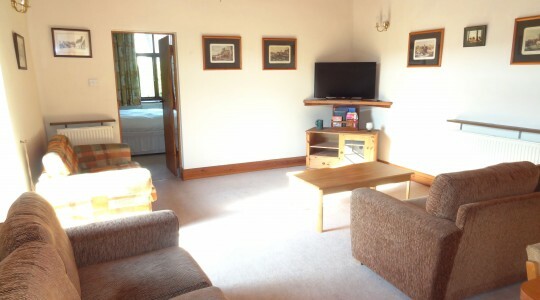 This is comfortably furnished and has a large TV and dvd player. There is a glazed door opening onto the paved area. 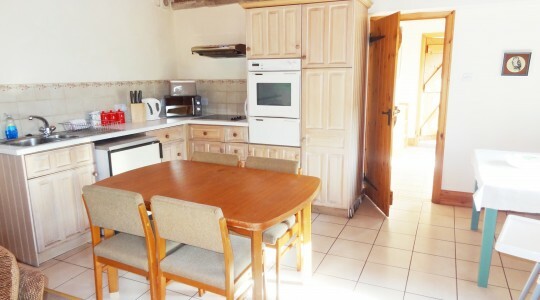 The dining area and kitchen are well equipped including a fridge freezer, built in double oven cooker, microwave, slow cooker and steamer. 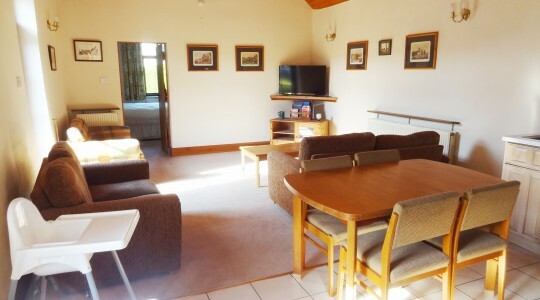 High speed wireless broadband is available throughout the house and grounds. Maps and tourist information are provided. A footpath is accessible next to Doveholes Cottage. The village of Kirk Ireton which is 1 mile from the cottage has a church dating back to the Norman period and The Barley Mow a traditional real age pub famous for being the last in the country to accept decimal currency. The pub stables now house a community shop. Attractions in the area include Carsington Water( 3 miles) which provides sailing, sailboarding, cycle hire, shops and a restaurant. The charming town of Wirksworth (3 miles) has reminders of its heritage as an important lead mining and stone quarrying town with traditional shops, the restored Ecclesbourne Valley Railway and Heritage Centre. Other nearby towns well worth a visit are the historic market town of Ashbourne, Mill town of Belper and Bakewell famous for its Bakewell pudding. The Derwent Heritage trail is lined with the old cotton mills, a cradle of the industrial revolution, some now used as shopping outlets. There are stately homes within easy reach, notably Chatsworth House, Kedleston and Sudbury Halls, whilst for the more daring the premier theme park of Alton Towers is less than 20 miles away.